FRANKFURT -- General Motors Co. plans to end production of the Opel Astra compact car at its Ruesselsheim plant in Germany to stem losses at the automaker's European operations, a German newspaper said. The next-generation Astra, due in 2015, will be built in only two GM Europe plants, Ellesmere Port in England and Gliwice in southern Poland, the Frankfurter Allgemeine Zeitung said, citing union officials as sources. The Astra is Opel's second-best selling model after the Corsa. The loss of Astra production would be a major blow to Ruesselsheim, where Opel is based, threatening the plant's future. Roughly one third of the factory's capacity is used to build 30,000 Astras annually. The midsized Insignia is also built there. A union official likened the move to Volkswagen deciding to end production of the Golf at VW's home plant of Wolfsburg. The Frankfurter Allgemeine Zeitung said the news will be officially announced later this month. 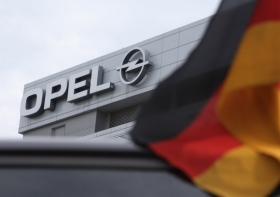 Opel declined to comment on the report, the paper added. Ruesselsheim, near Frankfurt, is one of four GM plants in Europe that build the compact model, along with Gliwice, Ellesmere Port and Bochum in Germany. Annual production of the Astra would rise to 205,000 from 145,000 in Ellesmere Port in a three-shift operation, while output in Gliwice, will be boosted to 240,000 from 185,000, the report said. The report did not mention Bochum, which also builds the Zafira minivan in addition to the Astra. The Ellesmere Port and Gliwice factories are cheaper and more flexible to operate than Ruesselsheim where employees are paid above the usual industry rate. Workers at the UK and Polish factories are prepared to accept 80 extra Saturday shifts a year, Frankfurter Allgemeine Zeitung said. According to the report, Ruesselsheim workers are prepared to agree pay reductions and other cost-cutting measures to keep production of the next Astra, which would require an investment of about 70 million euro at the plant. European sales of the Astra were 327,458 last year, up 2.7 percent from 2010, according to market researchers JATO Dynamics. The Corsa subcompact had sales of 327,717, down 1.5 percent. Opel is under pressure from GM to cut costs and reduce excess capacity as its vehicle sales fall in Europe. In the first quarter, Opel and UK sister brand Vauxhall saw sales fall 15.8 percent to 227,590 in the EU and EFTA countries, according industry body ACEA. Total industry sales fell 6.6 percent. GM's operating loss in Europe for the first quarter was $256 million.